50 of your favorite streamers are fleeting up under the guidance of 4 very good FC’s. 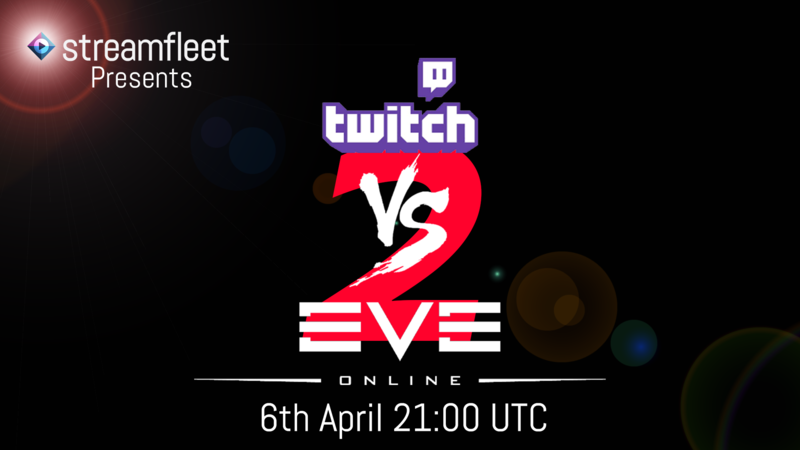 These fleets will roam around New Eden looking for fights, you can come take us on or watch from any fleet member across Twitch. CCP has given us awesome PLEX prizes to give out as we die, also plenty of prizes to be given out between fleets on every stream. Markee Dragon is also giving all streamers codes for his store to give away which are insane!! Hi there. I found your website by means of Google whilst searching for a similar matter, your site came up. It appears good. I have bookmarked it in my google bookmarks to visit then. Everything is very open with a precise explanation of the issues. It was really informative. Your website is very helpful. Many thanks for sharing! Hiya, I’m really glad I’ve found this information. Nowadays bloggers publish just about gossip and net stuff and this is really annoying. A good website with exciting content, that is what I need. Thank you for making this site, and I will be visiting again. Do you do newsletters by email? Hey there. I discovered your blog via Google at the same time as searching for a comparable subject, your site came up. It appears great. I’ve bookmarked it in my google bookmarks to come back then. Hello there. I found your website by means of Google even as looking for a related subject, your site got here up. It seems great. I’ve bookmarked it in my google bookmarks to visit then. Hey there. I discovered your blog by means of Google whilst searching for a related matter, your site got here up. It seems good. I have bookmarked it in my google bookmarks to come back then. Hiya, I’m really glad I have found this information. Today bloggers publish just about gossip and web stuff and this is actually irritating. A good site with exciting content, that is what I need. Thank you for making this website, and I will be visiting again. Do you do newsletters by email? Hi there. I discovered your blog by the use of Google at the same time as searching for a comparable subject, your website got here up. It looks great. I’ve bookmarked it in my google bookmarks to come back then.